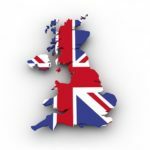 UKGC to tighten up online gambling rules again in 2019. The UK is universally recognized for promoting the strictest online gambling regulation in the world. Only the most reputable gaming websites are able to obtain a license from the UK Gambling Commission (UKGC). One false move that violates the rules will result in a stiff financial penalty, at best. As such, UK-licensed gambling sites are ranked among the safest in existence. These rules have been in place since 2014, and recent reports are proving their value. But the government still thinks they can do more. That’s why their planning to tighten up remote gaming regulations even more in 2019. One of the biggest fears has always been that online gambling would inevitably lead to a rise in problem gambling. Giving the entire population such easy access to casino games on a computer, smartphone or tablet—how could they possibly prevent an increase in the rate of harm and addiction? The UKGC was determined to make it work, setting up extremely tight player protections; far tighter than any other jurisdiction on the planet. In late 2014, those rules went into effect. Now, after several years of comparing statistics, the results are in. The UKGC just released a Healthy Survey report that’s been in the works for quite some time. The problem gambling statistics in that report were harvested from field research conducted back in 2016. Those results were then compared to similar research conducted in 2012 and 2015. The Commission is planning to launch a new National Responsible Gambling Strategy in April 2019. With it will come some big changes to the way online gambling operators conduct their business. The most significant change will be to the time frame in which licensed operators are required to verify a customer’s identity, age and location (aka Know Your Customer, or KYC for short). As things stand now, an operator is given 3 days (72 hours) following a new player’s account registration to verify their identity. Once this time frame expires, the player is no longer permitted to make deposits or place bets until completing the verification process. Withdraws are not permitted without identity verification, either. Furthermore, if a player’s identity turns out to be false in any way, all previous bets become null, the account is closed, and any deposited funds returned. The obvious problem here is that a minor could easily spend 72 hours gambling before the situation is discovered. That’s something the UKGC wants to put a quick and permanent stop to. Therefore, under the new rules, KYC verification must take place immediately following account registration. Players will not be permitted to make a deposit, claim a bonus, or place a bet, without verifying their ID first. This new rule isn’t going to sit well with UK operators. But then again, neither did the new online gambling rules of 2014. It took time for operators and players to get used to the strict regime, but they did, and they will again. And if past history proves anything, more jurisdictions will see the value in the UK’s plan, following in their footsteps soon enough.